Who doesnâ��t aspire to spend a vacation on a cruise? Of course, there are many. If you are among them, allows us to serve you. We are based in Jaipur (Rajasthan, India) and offer the service of the cruise agent. 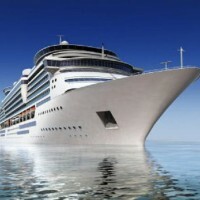 We specialize in booking the cruise tickets for the holidaymakers and tourists all over India. All you require is to share us with the vacation details and the budget. We will bring the best choice for the cruise without giving jerks to your budget. Dial our numbers to avail this service for enjoying an unforgettable vacation.